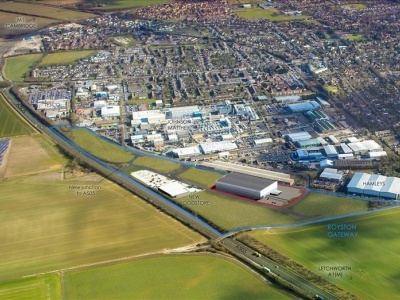 Royston Gateway is a multi-million pound development on a 30 acre site between the A505 and the established Royston Business Estate, Hertfordshire. 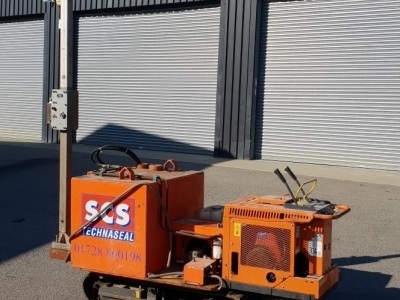 The electrical contractor was experiencing issues penetrating the unexpected solid chalk substrate by their usual method for the installation of earthing rods, and so unable to get the required ohm readings. 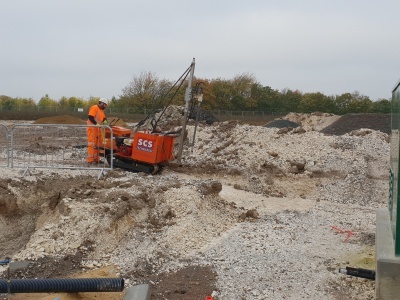 SCS were employed by the civil engineering contractor to diamond drill 42mm diameter holes, 4.2m deep. 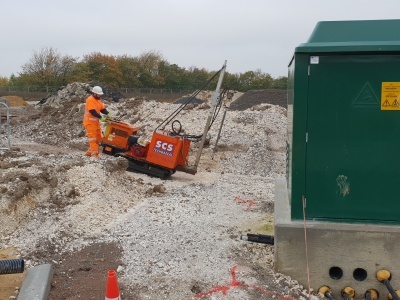 Due to the location of the holes, an ordinary trailer rig would not have been suitable as the access was across some very uneven ground. 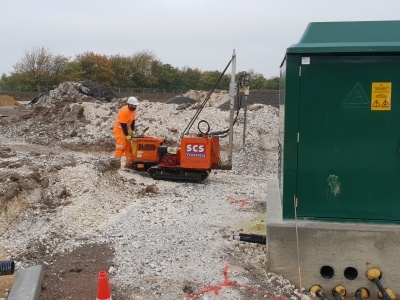 The obvious choice for this job was to use our 'Tracked Drill Rig' that SCS has designed and built, being completely self-contained and self-propelled, was able to get to the work area with ease. 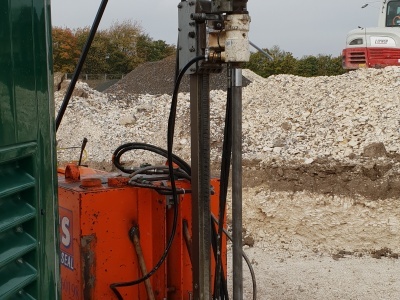 We used mining barrels to drill the holes. 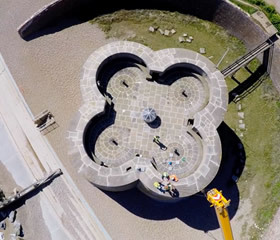 The holes were completed on schedule. 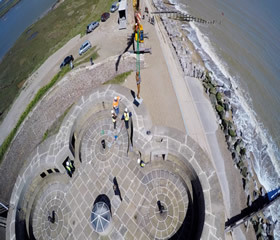 Both client and contractor were extremely happy with the end result! 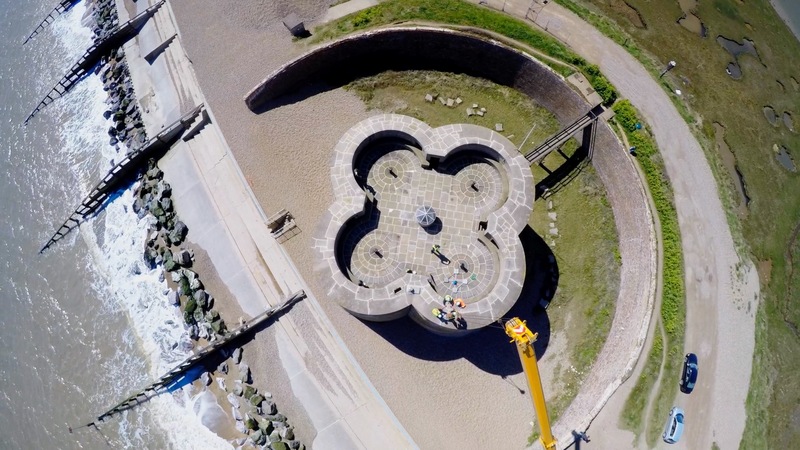 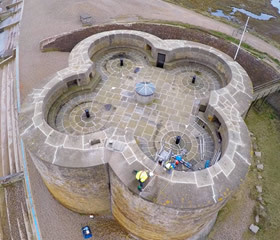 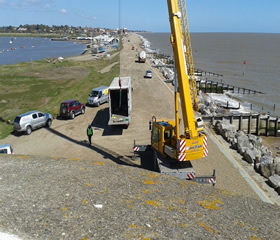 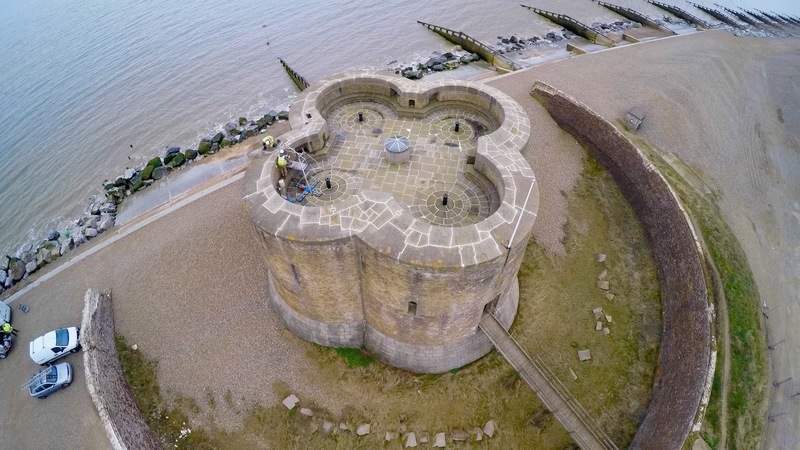 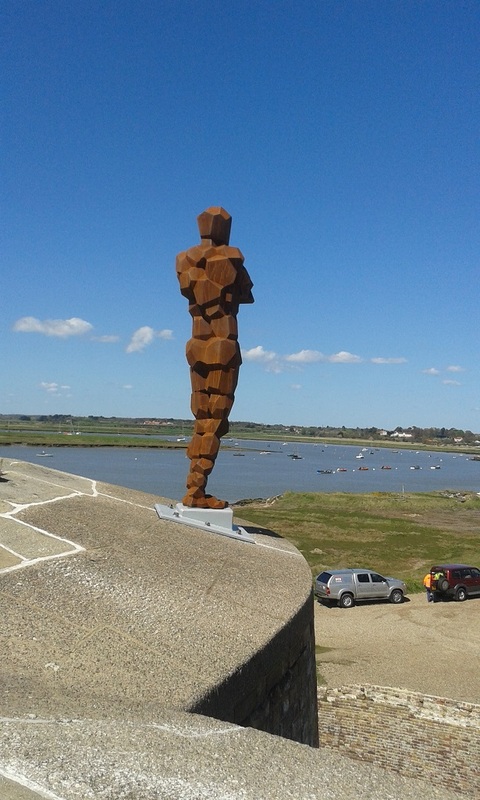 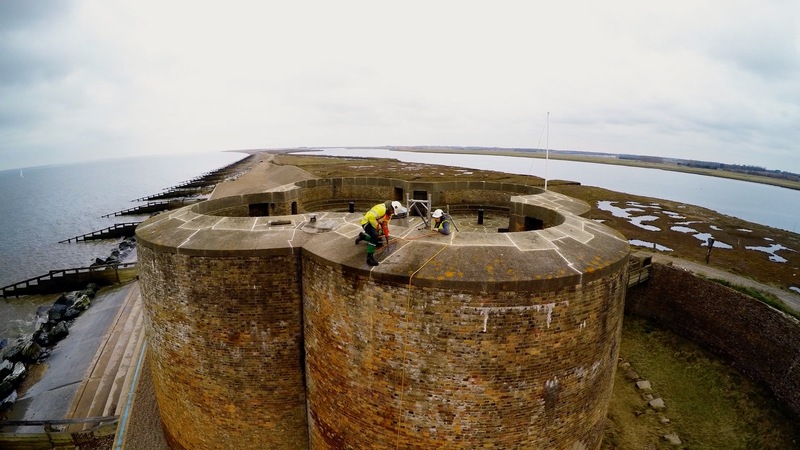 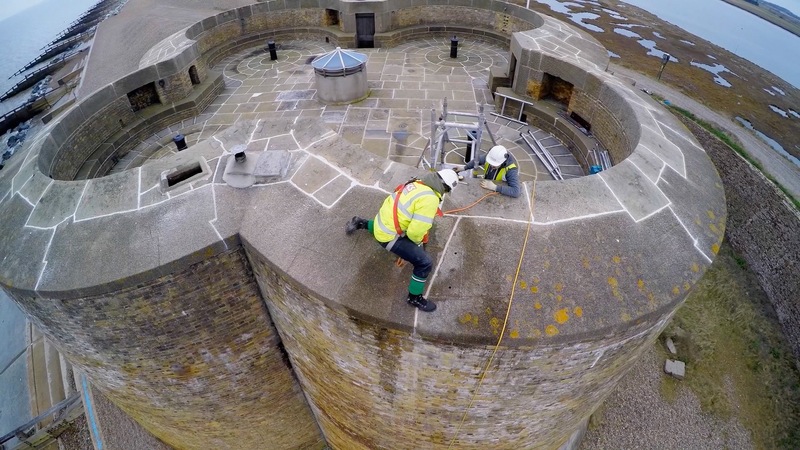 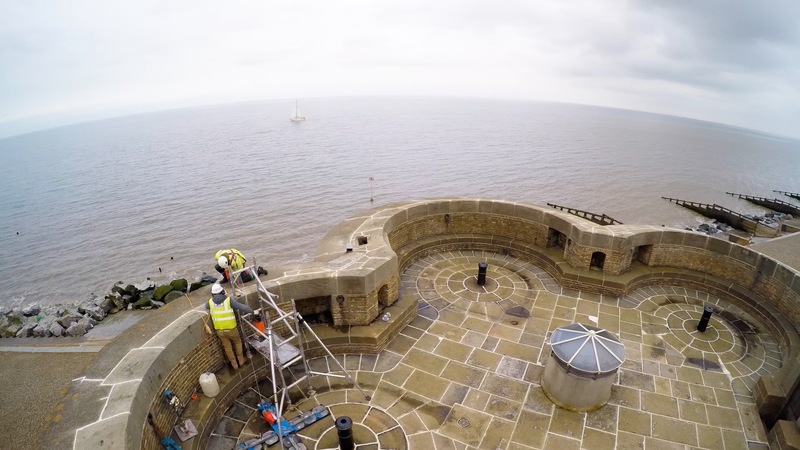 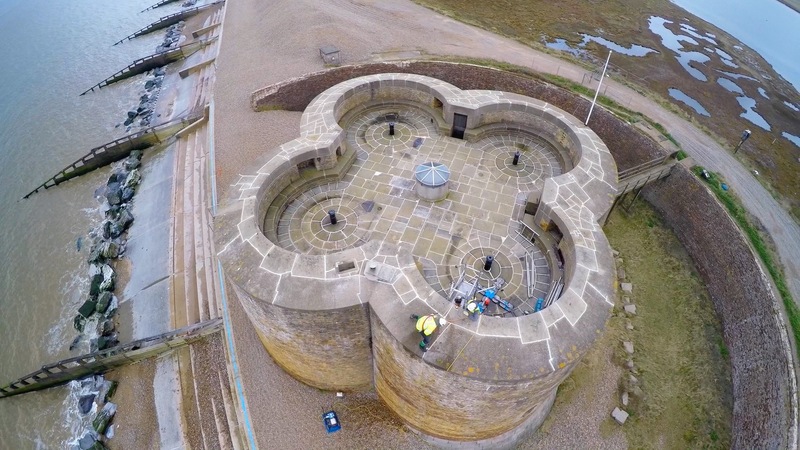 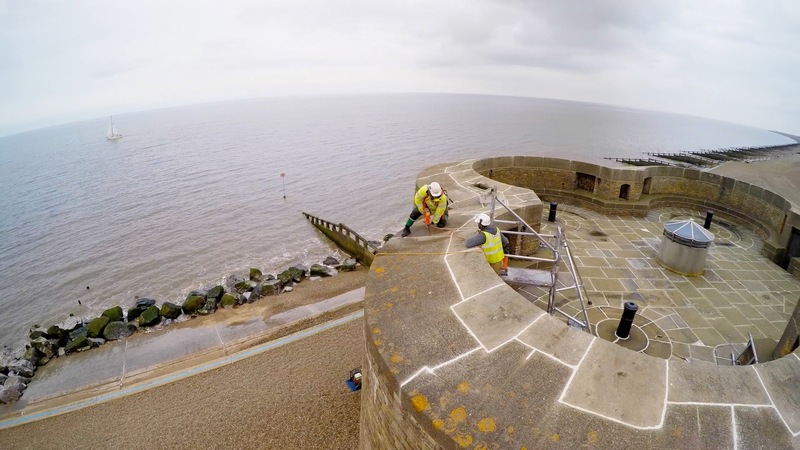 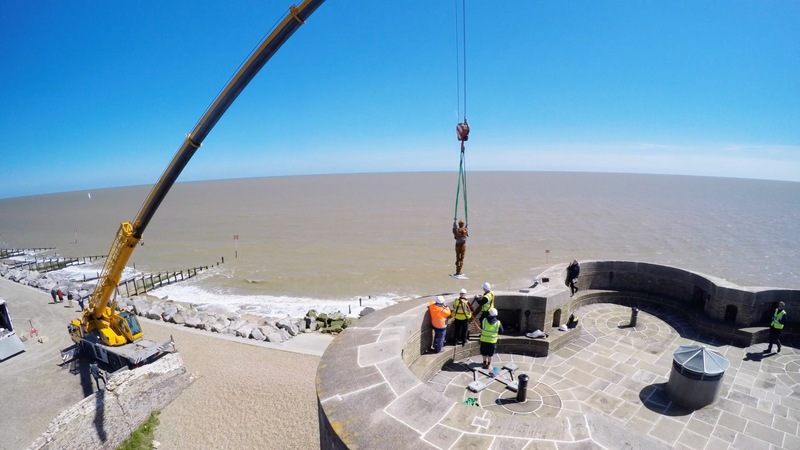 SCS Technaseal were employed by Momart, working on behalf of the Landmark Trust to drill the holes for the installation of a sculpture on top of the Martello Tower in Aldeburgh. 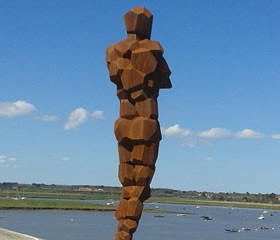 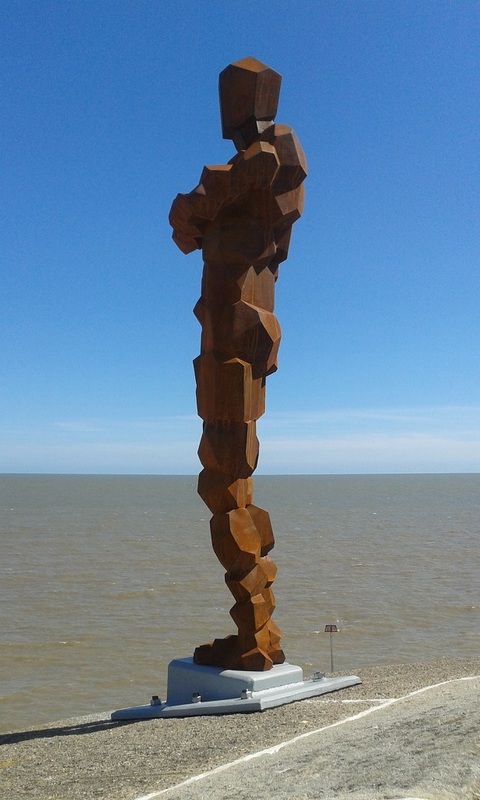 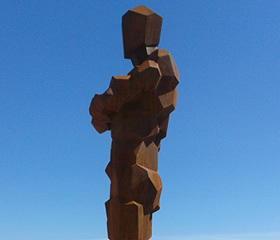 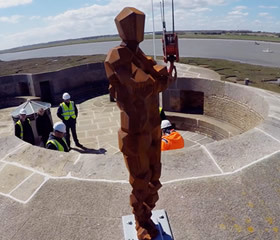 This had been specially designed and built by Antony Gormley, creator of the Angel of the North, to celebrate the Landmark Trust's 50th Anniversary. 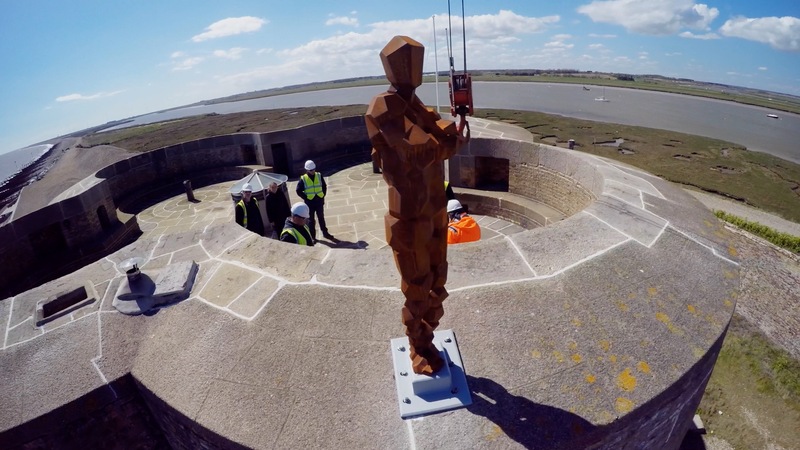 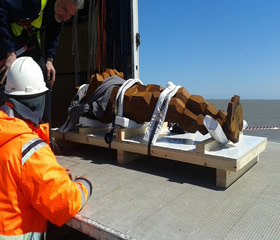 There are 5 sculptures being installed at 5 Landmark sites across the UK and will be in place from May 2015 for 12 months. 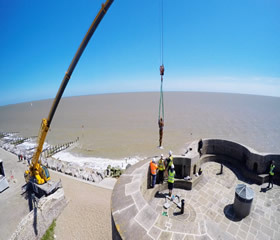 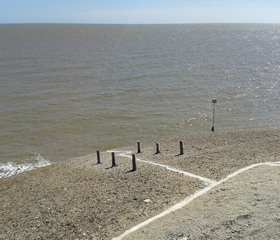 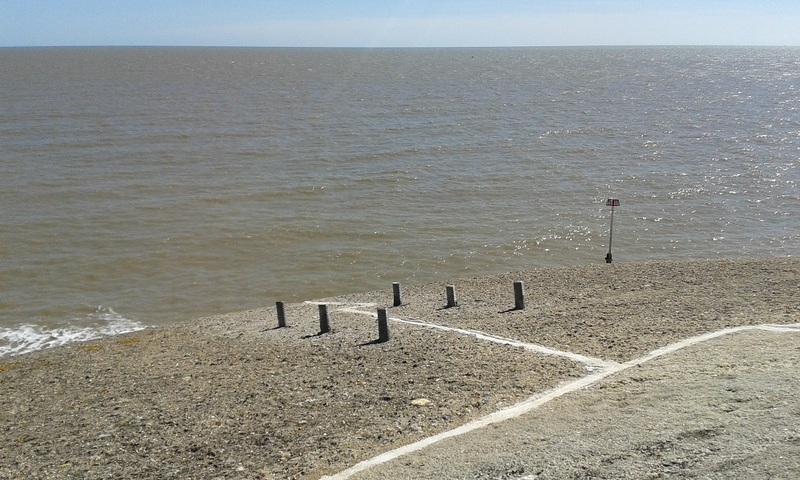 The sculpture at the Martello Tower is being put in such a place that it looks out over the North Sea and had to be at a very precise angle. 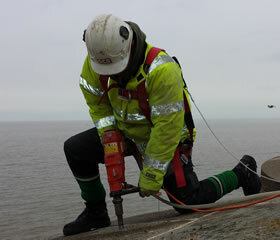 The holes for the base plate therefore had to be drilled extremely accurately. 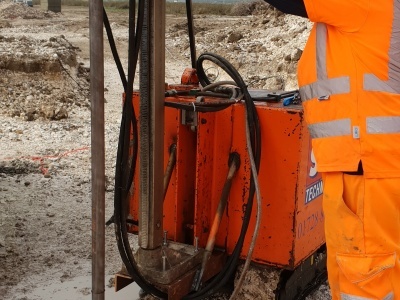 We also assisted in the marking out of the 6no 32mmØ holes to make sure there were no issues. 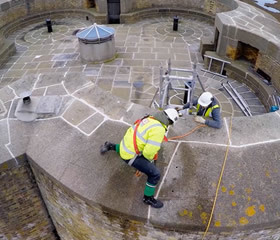 The access to the roof of the tower was restricted, having to get all the plant up a narrow staircase and working on the edge of the tower meant the safety of our operatives was something we had to think about carefully when it came to working out the method and the safety precautions needed. 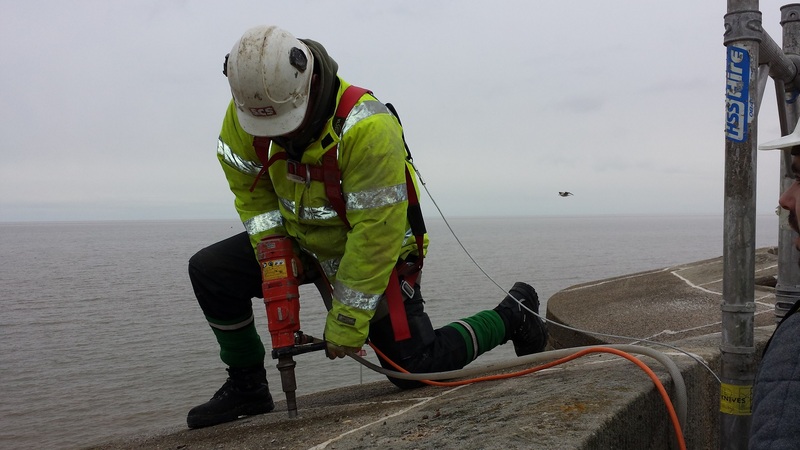 We drilled the holes using a handheld motor, as this alleviated the need for fixing down bolt holes and our operative was harnessed to a roof man anchor to ensure his safety whilst drilling. 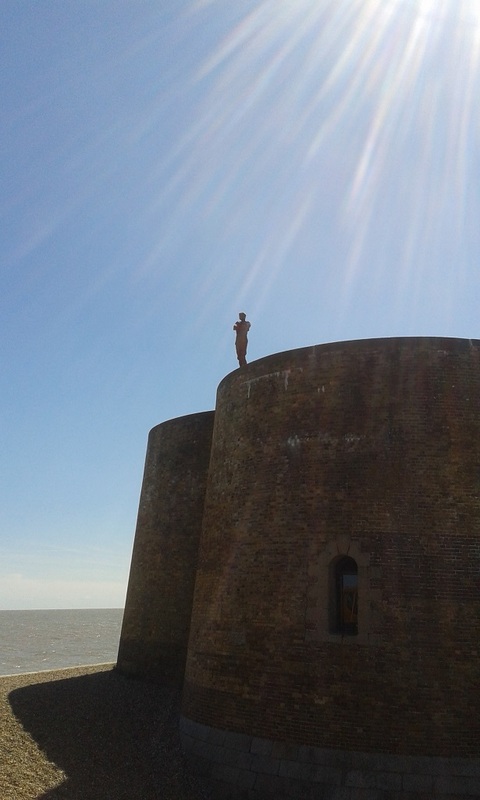 As an extra precaution an additional man was positioned on a tower next to the area. 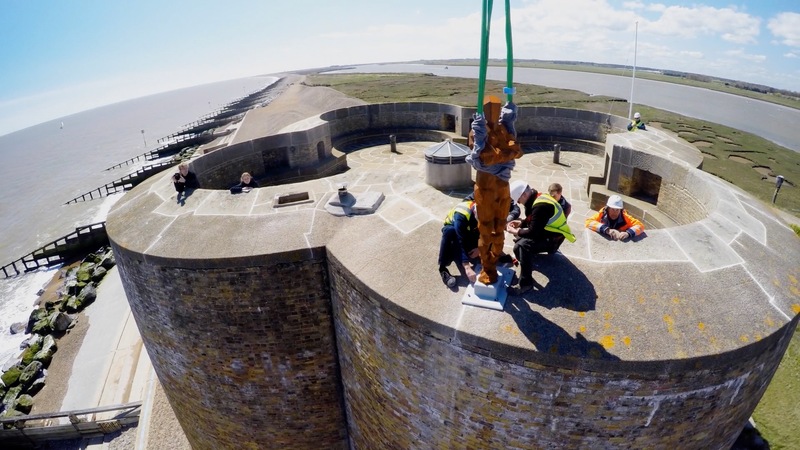 We supplied the stainless steel studs and resin fixed them in place, finally, we returned when cured to load test each bolt before placement of the statue. 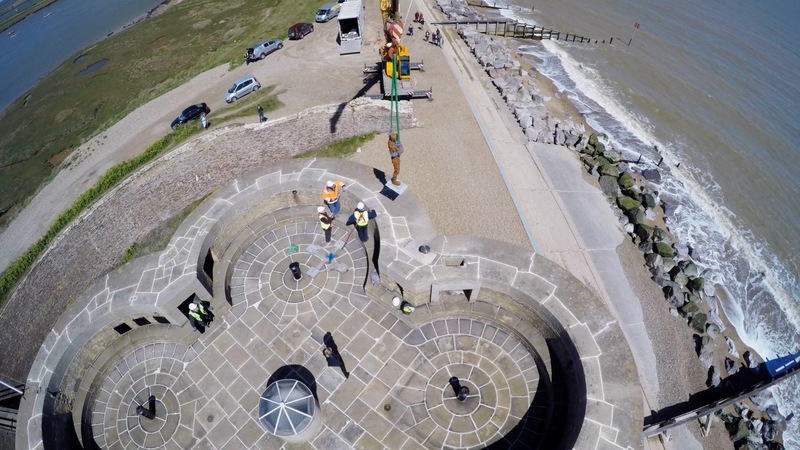 Everything went smoothly with both the contractor and client being extremely pleased with the professionalism and expertise of our operatives and management as this was a very high profile job. 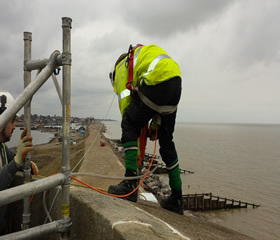 © Copyright Sealant & Construction Services Ltd .